1) The claim that Lewis abandoned apologetics after the Anscombe debate simply gets the facts wrong, as anyone can see by briefly glancing at the contents and original publication dates of the essays in God in the Dock. Some examples would include his 1952 article “Is Theism Important?,” his 1955 “On Obstinacy of Belief,” his 1958 “Rejoinder to Dr. Pittenger,” and his 1959 “Modern Theology and Biblical Criticism.” For other examples, see Victor Reppert’s post here. In addition, its worth noting that Lewis published a revised version of the argument critiqued by Anscombe in the 1960 edition of Miracles, which Anscombe herself recognized to have more adequately met her initial objections. All of this is difficult to square with the idea that Lewis gave up on apologetics. In addition, the whole idea of a “turn” from apologetics to children’s literature is a bit strained. Lewis had always loved children’s literature, and had already begun several children’s stories (though thus far they had all been aborted). And the picture that would eventually lead him to write the Narnia books – a faun walking through a snowy wood at night – had been on his mind from his teen years. Moreover, his literary output had already been extremely diverse, with not only apologetics books but poetry, science fiction, short stories, literary criticism, social criticism, allegory, and The Great Divorce (however one categorizes that) among his writings. That he would publish in a new genre is hardly shocking. Nor is it that last time he would do so (e.g., Till We Have Faces, Reflections on the Psalms, etc.). 2) The extent to which Lewis was bothered by the debate has been greatly blown out of proportion by people like Wilson and Sayer. 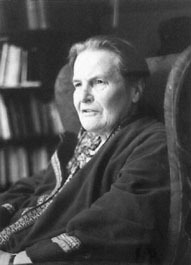 All that the evidence suggests is that there was an earnest discussion in which Anscombe revealed some weaknesses in Lewis’ argument, which he later revised to her satisfaction. While some friends (e.g., Derek Brewer) spoke of Lewis as “disturbed” by the incident, others (e.g., Humphrey Havard) recollected no such feelings on Lewis’ part. No one claimed he had a crisis of faith. For more quotes and perspectives on the event, see Alan Jacobs’ critique of A.N. Wilson on pp. 231ff. of The Narnian (Harpercollins, 2005). 3) The sense that one needs to find some external cause in Lewis’ life for the Narnia books suffers from a highly mechanical view of literary production. Even the more sympathetic Lewis scholar Michael Ward, in critiquing the Anscombe legend, seems to feel a need to find some other apparent cause for Lewis’ “turn” to children’s literature. So he suggests in chapter ten of his Planet Narnia (Oxford University Press, 2008) that while Lewis did not abandon apologetics after 1948, the Narnia books nevertheless were written in response to the encounter with Anscombe. 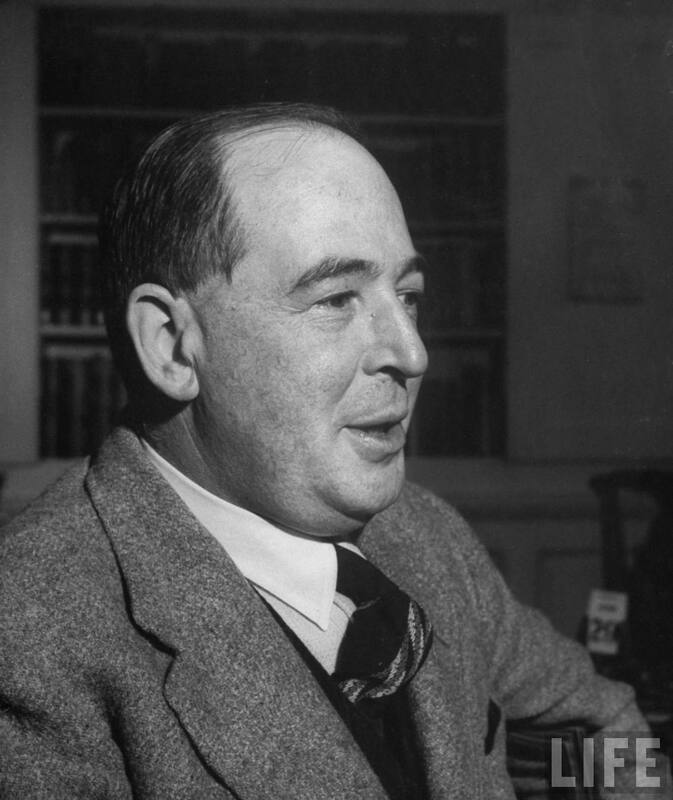 Specifically, Ward suggests that Lewis intended to make his point about human reason as inconsistent with naturalism through children’s literature because he had failed to make it through abstract philosophical argument. Besides relying on a rather strained reading of the Narnia books, this view still attaches too much significance to the Anscombe debate. There is no need to find some external cause for Lewis writing children’s literature. Anyone who has written a story knows that literary motivation is often internal and spontaneous and impossible to identity with particular events in the author’s life. The imagination itself provides the occasion (especially for someone with as powerful an imagination as Lewis had). Lewis wrote the Narnia books because he was C.S. Lewis and it was in his head and heart to do so. Saying more than that is unlikely to be helpful. If we’re going to need external causation for everything, why don’t we write biographies of Wilson and Sayer and then ask what events in their life prompted them to write their own books? I’m a big Lewis Fan. And I’ve read about the Anscombe debate for years. But what no one can tell me is … exactly what her critique was? For the life of me I still don’t see how reason is possible without God. Can anyone tell me what she said, and what Lewis said that was wrong? I’m with you, Stephen. I think here critique had to do with the way Lewis’ argument was presented – some slipperiness in his use of technical language. But my understanding is that Anscombe, as a Christian theist, would have agreed in principle that reason is impossible without God. I’ve read Victor Reppert’s work, and am inclined to agree with what I take to be his main point, namely that Lewis was a logical genius, but Anscombe was a professional philosopher. What Anscombe apparently questioned was not the strength of Lewis’ argument per se (the conclusion of which she apparently accepted), but rather whether any argument could be framed tightly enough to remove every conceivable contingency. For most of us, who apply Lewis’ reasoning practically to our defense of Faith, this is a side issue. If one abandons Reason herself, no doubt one can still develop “rationales” by use of (for example) Darwinian Evolution. In fact, one of the criticisms of Evolution is that it is so plastic that it can be made to reach any conclusion one wants. But for those of us who want to “explain” Reason wihtout “debunking” it, Lewis’ main arguement must prevail. Perhaps what he intended can be stated “Reason, defined as the power or capacity of connecting logically-necessary conclusions to their premises, necessitates a super-natural element to the human mind.” Of course, Darwinists will disagree with that statement but, having done so, they will still want their “thoughts” on the subject to be taken seriously. Yet, if their explanatory principle (Evolution) is valid, the proper criterion for success is not the “rationality” of their thinking. Rather, we should ask them how many children they have. “Feelings of rationality” could, perchance, be be found to have a survival potential, but this potential is measured by offspring, not analysis. No amount of Darwinian selection pressue could make this perception into a reality. Perhaps one could discern the nature of her arguments and the weakness of his defense, regarding naturalism, by discovering the differences made between editions of that chapter in Miracles. I was curious as to how reasoning is impossible without God? For if our brains came about by purely natural processes, what leads to the conclusion that they cannot naviage reality? If they are navigating reality, do they not work (and what we call ‘reason’)?